Hawaii has a storied history with tattoo culture, from traditional Polynesian tapping techniques that showcase a person’s ancestry to Norman “Sailor Jerry” Collins and his World War II-era tattoo shop on Smith Street to today’s annual tattoo conventions on Oahu. It’s more common today to see people sporting ink across the Islands.Tattoos are becoming increasingly acceptable, even in some workplaces where they were once frowned upon. Here are three kamaaina whose tattoos are a way of life, tell a story about their heritage, and represent a new beginning. A samurai in Okinawa inspired Paul Arakaki’s body art. After researching his family history, the O‘ahu native discovered he was related to a Japanese warrior on his father’s side. The Arakaki family even had a family crest. “My tattoos all started with my ancestor and my family crest,” he says. He got his first tattoo of his family crest when he was 30 years old. The simple crest shows the broad leaf of the paulownia tree, commonly known as the princess or empress tree. His family respected his decision to get tattoos. “Once they saw them and saw that they were good, they were fine,” he says with a laugh. 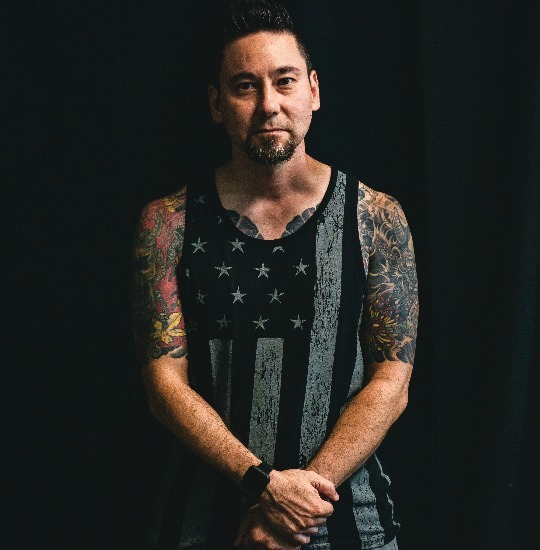 Today, the 49-year-old has tattoos on his legs, arms, chest, and his entire back. He has pieces done in black and gray and in color. They complement his family crest, including Japanese hannya masks, spider mums, and a black koi. He’s had all of his tattoos done by Ronnie Yamada, his friend of 20 years and a tattoo artist at 808 Tattoo in Kaneohe. Melissa Black was 15 years old when she got her first tattoo. She points to a small star and moon on her left ankle. “My mom took me and she thought I would chicken out, but I didn’t.” She got another one on her 16th birthday and “from there I went crazy,” she says with a laugh. Black was born in California and moved to Kailua as a child. She’s gotten all of her tattoos done at Windward O‘ahu shops. “Once I got tattoos, I felt emboldened,” she says, especially as a tall woman. Black is 6-feet-3-inches tall and when she’s not working at Moke’s Bread and Breakfast, she’s roller skating. 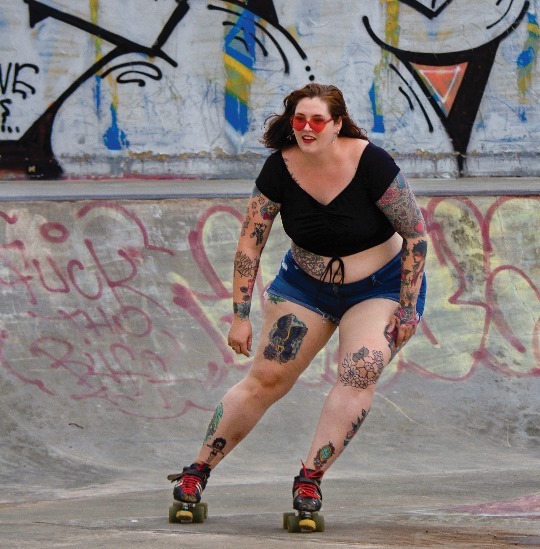 Black used to play roller derby; her name was Rose Bleed. Kaleo Auwae’s tattoos represent a new beginning. The oldest of four kids, the 47-year-old grew up in Papakolea and was raised by his grandparents. As a young adult, he says he had substance abuse problems and was homeless for a short period. In 1994, Auwae started practicing jiu-jitsu. He says the martial art inspired him to get clean and eventually launched his career. 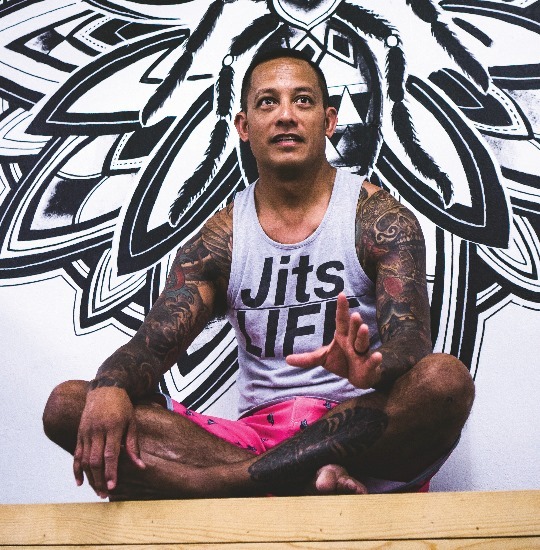 Auwae now owns Team Papakolea Jiu-Jitsu, where he teaches about 200 students at the Papakolea Community Center and in Kakaako. Jiu-jitsu also motivated him to rethink his body art. When he was younger, Auwae got poorly done flash tattoos that he says no longer reflected who he’d become. “A lot of my tattoos now are cover-ups,” he says. “It was about starting fresh.” Auwae now has fighting samurai in the rear naked choke position, a powerful jiu-jitsu move, as well as the words “jiu-jitsu” in red kanji. If you’re thinking about getting your first tattoo, consider the following checklist. Decide what and where on your body you want to get tattooed. Research online for a reputable artist and tattoo parlor or ask a friend for a recommendation. Make an appointment. Some artists require a consultation and a deposit. On the day of your appointment, wear comfortable clothes and avoid alcohol. Make sure your artist’s workspace is sterile. The artist should wear gloves and use single-use needles. Depending on the size and intricacy of your design, your appointment may take hours or require more than one visit. Remember, getting a tattoo is painful. Be sure to tip your tattoo artist. Follow your artist’s after-care instructions. This includes when to remove the bandage covering your new tattoo, washing, and moisturizing. An itchy tattoo is a healing tattoo. Resist the urge to scratch it, which could damage the tattoo. Protect your tattoo with sunscreen when you go outdoors. Regret that tattoo you got at 19 with your (now ex) boyfriend’s name? Laser tattoo removal is becoming more popular as people are opting to erase tattoos they’ve changed their mind about. Treatments involve lasers that slowly break up and release the ink from the skin. But it’s an expensive process and often costs more than the original body art itself. It also requires several sessions, usually between five and eight, depending on the size, location, and ink being removed.